Combust CT-HY4004 Filter - Save BIG on Bulk Packs! Call us for bulk purchase discounts! Polishes fuel to a like new condition for reduced oxidation and nitration with advanced, patented water and contaminant filtering technology. Removes 100% of water, including emulsified water and acids. Cleaner fuel means an extended engine life, reduced emissions, and extended oil life for longer oil change intervals. Easy to install, cartridge filter, with no moving parts to fail or wear out. Will not filter out the oil additive package in fuels and maintains required viscosity. 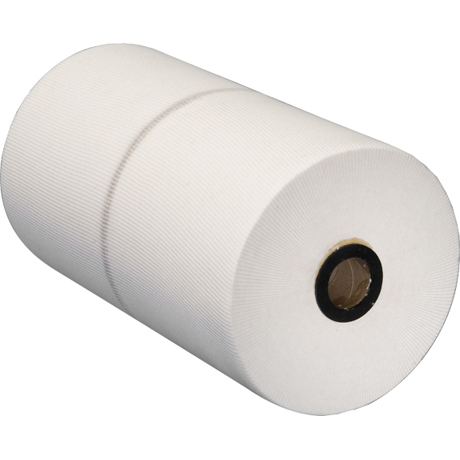 Alerts operator that filter cartridge is nearing capacity by slowing the fuel flow and causing a rise in pressure detectable on the pressure gauge. Made to fit and replace the Filmax housing. How will bypass filtration benefit my equipment? Most engines and other fuel systems come equipped with an OEM (original equipment manufacturer) primary fuel filter. These filters, however, usually only filter contaminants anywhere from 10 microns to 40 microns in size. Studies have shown, however, that particles smaller than 10 microns can still cause wear to the engine and system. Bypass systems work in addition to the primary filter, with Combust filters filtering particles as small as 3 microns in size. This means cleaner fuel for a longer engine life, increased intervals between oil changes, and often times, increased fuel efficiency and reduced emissions. Oil does not actually wear out. Regular oil changes are required because over time, oil will collect dirt and other contaminants that can damage the machinery. Oil additive packages maintain the viscosity and lubricating qualities of oil. Although bypass filtration will extend oil life and the time in between oil changes by keeping the fuel cleaner, the oil will still eventually require changing due to the deterioration of additives (about once a year versus every 3 months). Will increased filtration remove any additives from my oil? The additives in oil are too fine to be removed from the oil by a bypass filtration system. The average oil additive is about .04 microns in size, and Combust filters remove contaminants down to 3 microns in size. When do I replace the filter? As the filter nears capacity, it will cause the flow of fuel through the filtration system to slow. This will cause a change in the fuel pressure within the filtration system, thus causing a spike in the pressure gauge reading, which alerts the operator that the filter requires changing. This should take place about every 4 to 6 months. More frequent changing requirements may signify that excess water has developed within the fuel system. What happens if I fail to change the filter when it reaches capacity? With a Combust Filters bypass filtration system, if the filter has reached capacity the flow of fuel through the filtration system will stop. In many other bypass filtration systems, however, the fuel may build up, leak out of the filter housing, or be sent to the air filter, which can result in frequent air filter changes and a huge mess. Will a Combust By-Pass Filtration System void the equipment warranty? Manufacturers do not state that proper installation of a bypass filtration system will invalidate a warranty. Combust Filters has statements from manufacturers stating that proper installation of a bypass filtration system and extending oil change intervals will not void the manufacturer’s warranty.